Tablet-News.net / Android / ASUS Padfone Hybrid Coming Before Christmas? 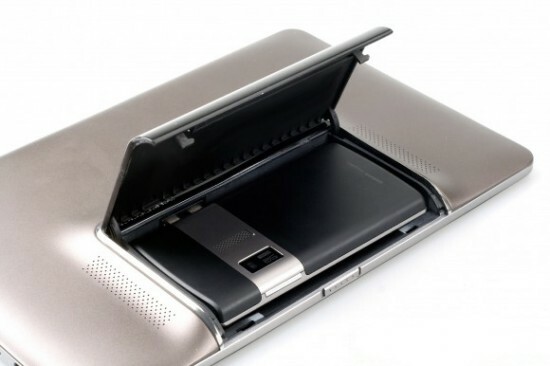 The ASUS Padfone is a hybrid phone that docks into a hidden compartment in the back of the tablet. It was first introduced at Computex earlier this year. Due the fact it’s a hybrid it was expected to launch with the Phone/Tablet optimized OS (Android 4.0 – Ice Cream Sandwich). If things will work out we should see the device in stores this year, according to ASUS CEO. No info on an exact release date but or if we can expect it to hit the market before or after the holidays. But we will keep you updated.